Doing stock trading on your laptop or smartphone and wondering what type of Internet connection for stock trading you need to achieve best results? fast – you don’t want to miss out on opportunities that come up for just seconds because of a slow Internet connection. reliable – if you’re stock trading while on the bus, train or just walking down the street, you need to be always connected. secure – you don’t want to let anybody eavesdrop on your activity, especially on public WiFi hotspots you may be using through the city. Read below to see our guide on how to get the best Internet speed for stock trading, whether you’re doing this from home, from work or while on the move. Some articles on the Internet and also this Quora thread state that a 1 Mbps connection is good enough to do stock trading. While that might be true, it’s the connection reliability that is more important in day trading. If the Internet connection disconnects (and it will at some point – ISP maintenance, bad WiFi hotspots, etc. ), you have to be sure that your stock trading efforts will be covered by something like a backup connection. Most important: you have to be sure you’re always online when stock trading. You wouldn’t want anybody to fiddle around your stock trading platform(s) and ruin everything in just seconds or lock you out of your account(s), would you? Or “sniff” your sensitive data when investing on platforms such as the stock market, Forex, etc? That’s why when deciding on your Internet connection for stock trading it’s important to connect through a secure Internet link whenever you’re stock trading. And, basically, in any situation, for that matter, on all your devices – computer, laptop, smartphone, and tablet. Carefully choose your hardware device and stock trading platform software – whether it’s a laptop computer or a smartphone, you should be able to get a fast response from it when using the stock trading platforms. You may have the best Internet connection for stock trading; if your device has to spend minutes to load an app or a web page, then it’s useless. We won’t go into technical specifications at this point, but as a general rule – it’s best if you would use a laptop, iPhone, iPad, Android smartphone or tablet that’s newer than 2 years of age. Always make sure you have an additional Internet connection available. For smartphones and some tablets that’s simple: you can always use your 4G / LTE connection should WiFi have issues. For laptops and PCs you should be equipped with an extra WiFi or 4G / LTE adapter that you could plug into your device. Get Speedify on your device. Speedify is a next generation fast mobile VPN service that also works to combine multiple internet connections to deliver a faster, more reliable, and more secure Internet experience for your stock trading activities. Make sure you activate / connect to all the available Internet connections – usually WiFi, Ethernet and Cellular (via USB dongle) for laptops and PCs; WiFi and 4G / LTE connection for smartphones and tablets. Open the Speedify app and let it run in the background. 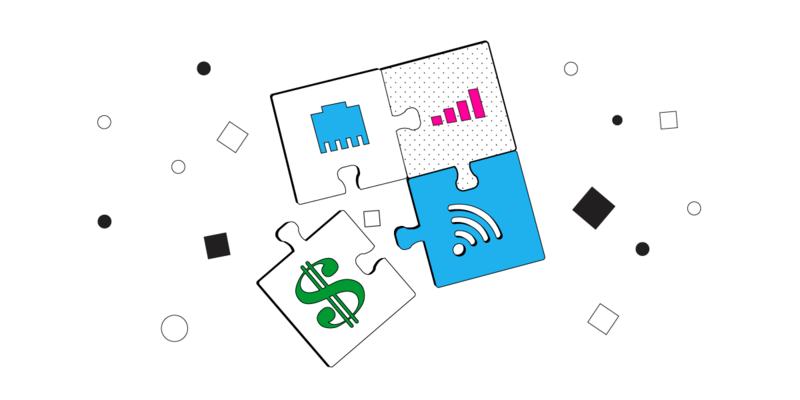 Speedify will automatically combine the different connections you connect to into a single pipe. You will enjoy a fast and reliable Internet experience like you have never seen before. Plus – it will all be secured! Speedify doesn’t just get you a fast and reliable Internet connection when stock trading. Speedify is the only true mobile VPN available. 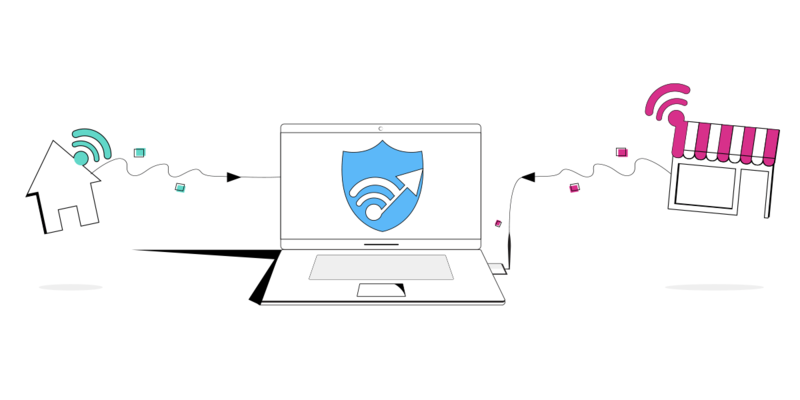 It protects you from compromised WiFi networks and snooping hackers. It uses real military-grade encryption to make sure your private data stays under your control. And, of course, Speedify keeps no logs of any activity! Before Speedify, users often had to choose between security and speed. Because Speedify was designed with speed and reliability as one of its primary goals, you no longer have to sacrifice speed for security. You can have all 3 of them to get the best Internet connection for stock trading. Are you doing stock trading? Get the best results with a fast, reliable and secure Internet connection! Get started with Speedify today – the best solution for your stock trading Internet speed!